We’re all thinking it, Ryan’s just saying it. Big museum questions presented in small (and easy on the eyes) packages. Now, who’s going to go and create a version for science museums? Anyone? Anyone? Bueller? Bueller? 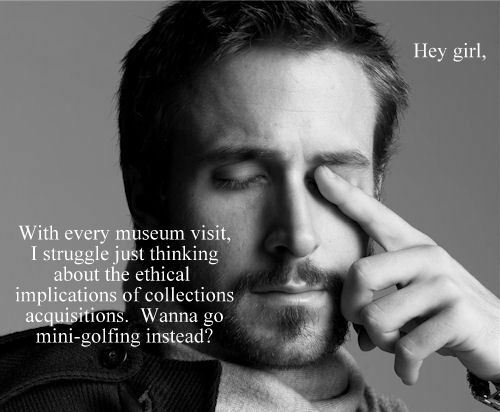 Do you know how this Ryan-Gosling-talking-about-educational-places thing got started? I spent way too much time on the library version yesterday. 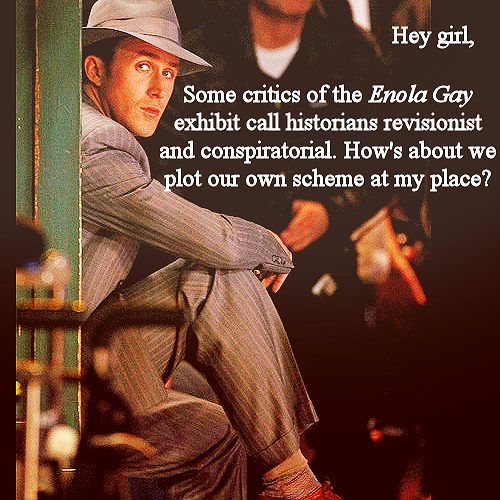 I think it first started as a tumblr site devoted to the Ryan Gosling “Hey Girl” meme. What I love about it is that so many different groups of people have appropriated this idea (cute images of Ryan Gosling with a topical caption) and run with it. Ryan becomes a spokesperson for the things we think about within those professions.